General firming, tightening and lifting of skin on the Brow, face, neck and jaw. Generally the skin will begin to feel and look smoother and tighter even after one treatment, the results from the treatment will continue to improve for up to six months.. The results are variable, depending on the original quality of the skin, deeper tissues and degree of damage to be treated. 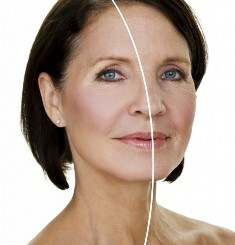 The number of treatments required will depend on the area being treated and the quality of the skin. For lower face, brow and neck tightening / lifting we usually recommend a complimentary ‘top up’ second session 3-4 months after your treatment. For acne scars, wrinkle and pore reduction using INTRAcel 2-4 treatments are recommended. Dr Comins will be able to discuss this with you during your consultation. Yes, the treatment is safe but it must be carried out by a trained and experienced health care professional to ensure that different areas are treated at the correct levels. As with any treatment it is important to discuss any possible side effects with Dr Comins in your consultation.